Mr. Vallabh Bhanshali is an internationally renowned investment banker, investor, venture capitalist and expert in Indian capital markets. Mr. Bhanshali began his career as an accountant, before he made the switch to securities market and eventually co-founded the Enam Group in 1984. 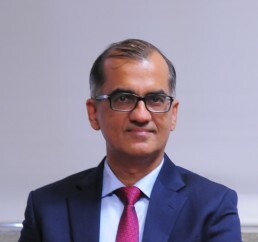 He has served as a trustee of the Bombay Stock Exchange, the regional board of the Reserve Bank of India, and continues to serve on numerous Committees of the Securities and Exchange Board of India. He also has the honor of receiving the citation of “Veteran Economist of the Capital Markets” from the Indian Council of Business. He has served on as an independent director on the board of various public companies. Mr. Bhanshali has always expressed a great love for teaching, having lectured throughout his career, and conducted professional-level seminars in the field of behavioral sciences. He has also published several articles in reputed industry periodicals. He has a degree in Law from Mumbai University and is a Chartered Accountant by profession. Mr. Nemish Shah is one of India’s most highly revered investment minds. He is considered as a pioneer of modern Indian finance and investment research. He co-founded the Enam Group in 1984, within six months of which the company was at the top of the league tables in the IPO market. He has been instrumental in designing the company’s investment research strategy and under his leadership and wisdom, Enam has orchestrated some of India’s most successful IPOs. He has an established reputation as a devoted philanthropist and proponent of higher education. He instituted the Foundation for Liberal and Management Education (FLAME) as a means of elevating the standard of education within the Indian value system. Mr. Jiten Doshi is the co-founder and Chief Investment Officer at Enam AMC. With over 30 years of experience in the capital markets, Mr. Doshi steers the day-to-day operations of the company and all investment-related matters. Mr. Doshi is an industry visionary who co-founded the Listed Equities Managed Account Business that maintains separately managed accounts at Enam AMC. He has served on as an independent director on the board of various public companies. Mr. Doshi’s opinions have always been actively sought out by industry insiders. He regularly speaks at global forums such as HORASIS and is a trusted advisor to several management bodies on issues such as corporate governance, transparency, disclosure standards, and shareholder value creation. 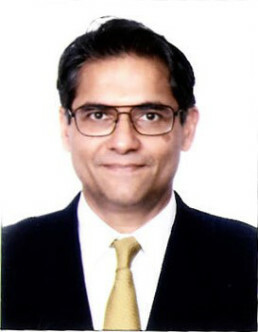 Mr. Vikaas M. Sachdeva is the Chief Executive Officer at Enam AMC. Mr. Sachdeva is a veteran of the financial services industry, having notched up a quarter century of experience in the asset management industry. Prior to taking up the mantle at Enam AMC, he was the CEO of Edelweiss Asset Management where he spearheaded the AMC for six years. His earlier assignments have included him working at BOI AXA Investment Management (P) Ltd as Country Head, Business Development. 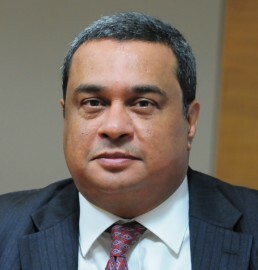 He has also worked with ING Investment Management India (P) Ltd as Country Head, Business Development and Birla Sun Life AMC Ltd as Head, Sales, Distribution and Marketing. He has also served as a member of the Mutual Fund Advisory Committee, a Board member of the Association of Mutual Funds in India and was involved in creating a whitepaper for ETFs. Mr. Sachdeva has a Masters in Management Studies in Marketing and Finance from Chetana’s R.K. Institute of Management and Research, and a Bachelor’s degree in Commerce from Narsee Monjee Institute of Commerce and Research. 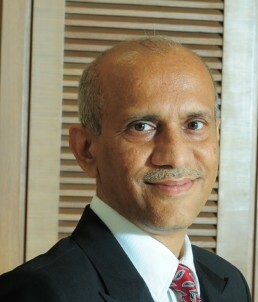 Mr. Rajesh Khona has held the position of Chief Financial Officer at Enam AMC since 2000. He possesses nearly 30 years of experience as a Chartered Accountant and a senior securities market professional. His vast experience encompasses a variety of fields including Operations, Finance, Technology and Compliance. Apart from his core finance and accounts responsibilities at Enam AMC, he has conceptualized and transformed the IT automation of our Portfolio Management System and oversees the GIPS compliance procedure on an annual basis. Prior to joining Enam AMC, Mr. Khona was the Vice President (Operations and Finance) with IIT Investrust Ltd. (an IIT Group Company) and an Assistant Vice President with Indsec Share and Stockbroking Ltd. (an Essar Group Company). Mr. Khona has a Bachelor’s degree in Commerce from the University of Mumbai. He is also a Merit Rank holder from the Institute of Chartered Accountants of India (ICAI). Mr. Khona has continued to accumulate academic achievements over his career with a Diploma in Information System Audit, a Broker’s Training Course at the Mumbai Stock Exchange, the National Stock Exchange’s Certification in Financial Markets, an ISO 9001:2000 Quality Management Auditor certification, as well as training in SAP R/3 ERP FICO and ORACLE. Mr. Tridib Pathak is the Senior Fund Manager at Enam AMC and serves as the Portfolio Manager of the EIDEA portfolio. Prior to joining Enam AMC, he was a Senior Director and Senior Portfolio Manager with IDFC Asset Management where he was responsible for overseeing three management and large cap funds. He has worked with Lotus India Asset Management as Chief Investment Officer (Equity) and Chief Investment Officer with DBS Cholamandalam AMC. He has a Bachelor’s degree in Commerce from the University of Mumbai and is a certified Chartered Accountant from the Institute of Chartered Accountants of India. Mr. Vinay Jaising is the Head of Research at Enam AMC. As a senior financial services executive, he has over 20 years of proven experience in equity research. He has been widely recognized as one of the best analysts for the oil and gas and telecom sectors in Asia. Mr. Jaising accumulated most of his laurels and experience during his 22 years at Morgan Stanley, where he rose to the position of Managing Director. He has been responsible for numerous deep-dive reports that proved critical in gleaning insight into key sectors. His reputation for rigorous research and razor-sharp advice has lead him to great success. He has been voted as the best analyst from over 40 global accounts. Mr. Jaising was a Gold Medalist engineering student from the Vivekananda Education Society Institute of Technology. He went on to earn a Masters in Science in Electronics and Control from BITS Pilani and an MBA in Finance from Narsee Monjee Institute of Management Studies. He is also a CFA Charter Holder.